Neuropathy affects millions of people from all walks of life. The best description in layman’s terms is the pins and needles feeling people have when their foot falls asleep. Neuropathy can also feel like burning, sharp pain, tingling, numbness, and uncomfortable weakness. This condition is usually a sign that there is an underlying illness that the sufferer needs to address. Still, there are things that they can do to ease the symptoms of their pricks and pain. Below are some easy exercises that can help people regain feeling in their nerves again. These exercises are accessible to people of all ages and abilities. Hand exercises can be done sitting in a chair or laying down in bed. Most experts recommend doing the movements while sitting upright in a chair, just to practice good posture. 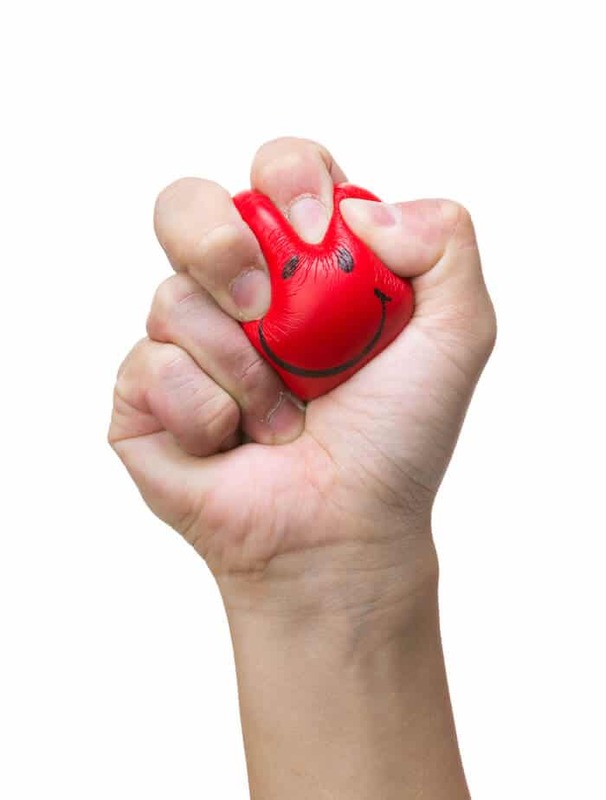 As for equipment, all you need is a chair and a stress ball (or any similar object). You may also want a yoga mat for any floor exercises you want to try. Be sure to wear loose, comfortable clothing that does not restrict your range of motion. Bring the padded part of the index finger to meet the pad of the thumb on the same hand. Once both pads are touching, slide the index finger down the length of the thumb. Then, repeat this exercise for the middle finger, running the pad of this finger down to the base of the thumb. Repeat for the ring finger and the pinky finger. You can repeat these exercises on one hand and then move to the other hand. You may also alternate doing the exercise once on the right hand, then once on the left, and switch back and forth. Start by bringing the pad of the index finger to the thumb pad on one hand. When the two pads touch, it should look like your hand is giving an “OK” gesture. The negative space between the thumb and index finger should form a circle. Next, separate the thumb pad and index finger pad and stretch your hand out. All of your fingers should be spread out, along with your thumb, and your palm is facing out. Then, you can repeat the movement with your middle finger. Meet the pad of the middle finger to your thumb pad, then stretch your hand out again. Repeat with the ring and little finger, then move on to the other hand. You want to do this exercise about five times on each hand. Bring your palms together as if you were placing your hands in a prayer position. The fingers may be intertwined, or you can put the pads of the fingers together. Make sure the position is loose enough that it is comfortable and you can freely move your thumbs. Next, slide your top thumb up and over your bottom thumb, and slide it under. This movement should mimic the way you might twiddle your thumbs. Your opposite thumb should be on top now. Repeat this movement, alternating which thumb is on top. The fingers will stay still during this exercise. To start this exercise, sit in a comfortable position and plant your feet on the floor. Place your right hand on your right lap, palm side down. Do the same thing for the left hand. Next, raise just your thumbs off of your lap and keep them raised for one or two seconds. Lower them back to your lap and repeat the movement with your index fingers. Continue until you have done the exercise with each of your fingers. You may repeat this practice a few times in a row or throughout the day. This is an easy exercise you can do with a simple stress ball. If you do not have a stress ball, you can also do this exercise with similar objects lying around the house. Some alternatives include Koosh balls, hacky sacks, or large rubber balls. Place the ball between your hands with your palms facing each other. Then, roll the ball between your palms and fingers in an up and down motion. Slide one hand downward while sliding the other upward with the ball still between the palms. Not only is this useful for neuropathy relief, but it can be quite relaxing. Mindful body exercises can be part of a treatment plan for hand neuropathy. Yoga is a flexible activity that is suitable for a wide range of ages and activity levels. Time and again, researchers find yoga to be beneficial for neurological disorders, emotional ailments, and physical issues. The postures in yoga encourage stretching and strength, but participants can modify the moves to fit their needs and abilities. The practice lowers stress levels, as well as blood pressure, and can help to decrease some of the side effects or accompanying problems of neuropathy. Different yoga classes may emphasize strength, agility, balance, flexibility, or mindfulness. All of these are great aspects for people with neuropathy to focus on. Likewise, tai chi is an ancient practice that holds benefits that are similar to yoga. Tai chi involves making slow, fluid movements with the arms and body. Scientists found that the movements of tai chi improve people’s balance, coordination, and nerve function. Although the movements are simple, they encourage the muscles in the hands (and the rest of the body) to wake up. As the muscles in the body start performing regularly, their connection with the brain strengthens, too. Tai chi is a practice that is popular with older adults because the movements are low and deliberate. It’s a true mind-body exercise that can help relieve pain and discomfort throughout the hands, feet, and limbs. The movements in this list are a great help for nerve regulation. Often, the numbness and tingling that people feel in their hands are due to malfunctioning or damaged nerves. These exercises can help to realign the nerves and get them in the correct position. Once they are in the right place, they have a better chance of performing properly. Regular movement in the hands can also help prevent muscle weakness or atrophy. When the hands are busy moving on a daily basis, the muscles and tendons in them are less likely to diminish. 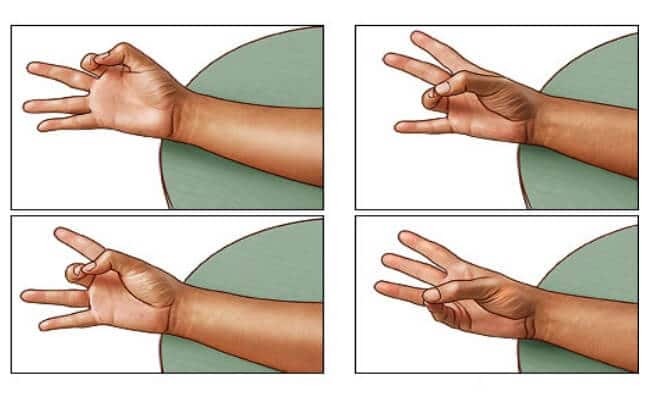 The exercises can also keep hand tendon reflexes strong, which prevents pain and burning sensations. 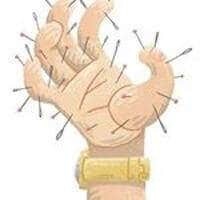 The pins and needles feeling that people with hand neuropathy experience can be due to pinched or trapped nerves. Stretching out the hands and fingers can alleviate the pain and bring more circulation to these nerves. This greatly reduces the tingly feeling and discomfort and helps individuals regain feeling in their hands. These exercises may ease the disruptions between nerves, enabling them to send correct signals to the brain without interruption. It is important to point out that about 60% of people with diabetes experience some form of neuropathy. In fact, neuropathy is often a predictor that someone is struggling with diabetes. In these cases, a combination of diabetic symptoms works against nerves in the body and extremities. High blood sugar and increased levels of fat in the blood put a strain on nerves. The result is damaged nerves that can’t send proper signals to the brain. When this happens, it is difficult for the brain to distinguish between pain signals, so people feel those pricks and tingles. Peripheral neuropathy is the most common form of neuropathy that people with diabetes deal with. 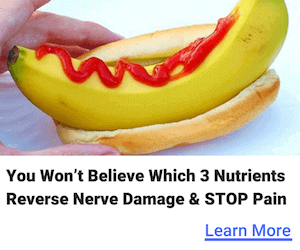 Before these people can try to resolve the problem with their neuropathy, they must address their diabetes. Maintaining a healthy body weight is crucial, especially since being overweight increases people’s chances of developing other diseases. It is also important to manage blood pressure through regular exercise and a diet rich in fruits, vegetables, and whole grains. Individuals with diabetes need to control their blood glucose levels. They do this by limiting their intake of carbohydrates, eating more fiber, and staying hydrated. Getting enough sleep and magnesium may also aid these efforts. Diabetic neuropathy can lead to more dangerous problems, such as digestive issues, urinary tract infections, and heart disease. This is why it is essential that people address their neuropathy problems as soon as they notice them. If they are not aware that they have diabetes, the pins and needles could be a sign. Even if people do not have diabetes, neuropathy symptoms could be a sign of an underlying condition that they might not be aware of. Some common examples include exposure to toxicity, a physical injury that did not heal properly, or an inherited illness. Neuropathy in the hands is an uncomfortable feeling, but it could also signal that there are more pressing matters to pay attention to. Individuals who experience neuropathy symptoms should talk to their doctor as soon as possible. A medical professional can run tests to determine other conditions that could be leading to the neuropathy.